Today in Eco club we have been planting the hedgerow trees donated by the Woodland Trust. 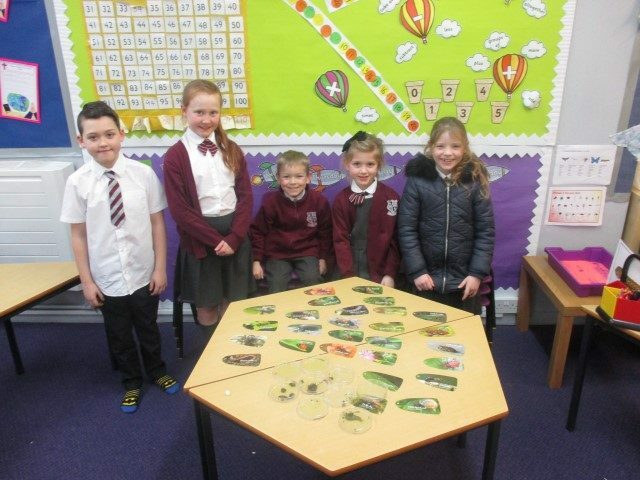 Today we have been investigating the impact that mini beasts have on the environment. Mr Fowles has started a new Eco club and it would be nice to say thank you to all at Marbury Garden Centre. The children created these wonderful planters with their generous donations.